Why recover Natural Gas Liquids (NGL) ? Natural gas is one of the world’s leading energy sources. Before being sold to customers, natural gas needs to be treated and purified: Raw natural gas extracted from the earth comes with other contaminants. Some of the major by-products which must be removed include water, hydrogen sulfide, nitrogen, ethane and the natural gas liquids (NGL). These NGL consist of propane, butanes, and heavier hydrocarbon molecules. They can be recovered and further processed or sold for use in other applications. Gas industries which extract natural gas must process the raw gas before they can distribute it. The gas is processed and purified in order to reach a high-enough level of quality, in order to be sold as fuel to the end user. Natural gas can also be used as a raw material for synthesizing other chemicals, and as a raw material in the Gas-to-Liquid (GTL) process. 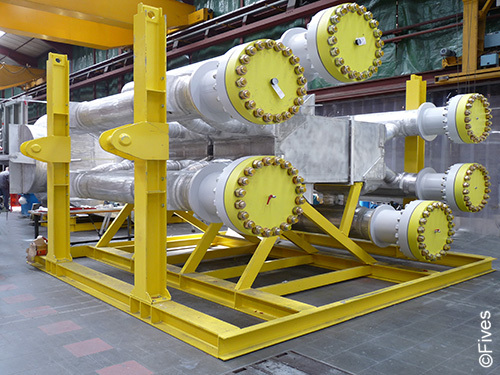 In the natural gas treatment process, NGL recovery occurs via cryogenic distillation. 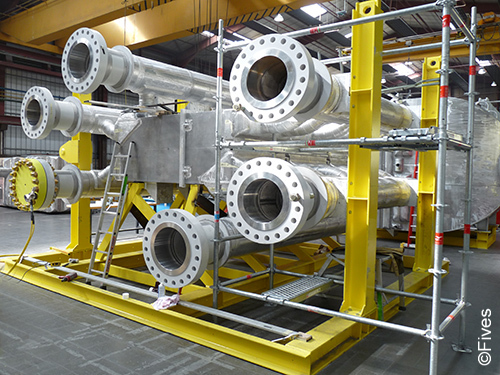 Brazed aluminum heat exchangers (BAHX) are required to cool the process fluids down to these extremely low temperatures. 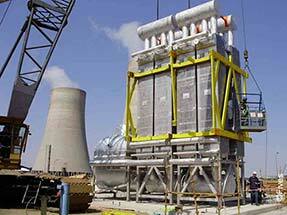 BAHX are also used as condensors and reboilers on the distillation columns. 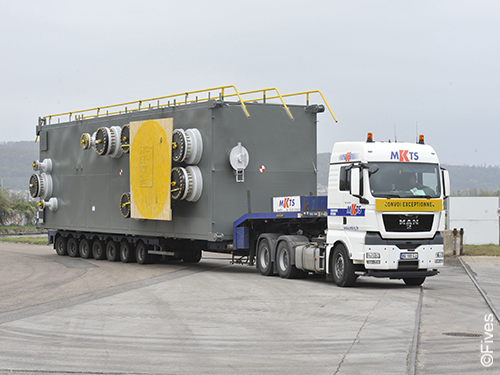 Fives provides ultimate performance BAHX for NGL recovery application thanks to over 30 years of experience in designing and providing BAHX to the natural gas processing industry, including BAHX for NGL recovery. Fives' experienced design engineers work closely with all their customers to ensure that the designs meet the project's specific needs. Within its Cryogenics | Energy business line, Fives has developed pioneering in-house software which optimizes the design of complicated exchangers required for this application. 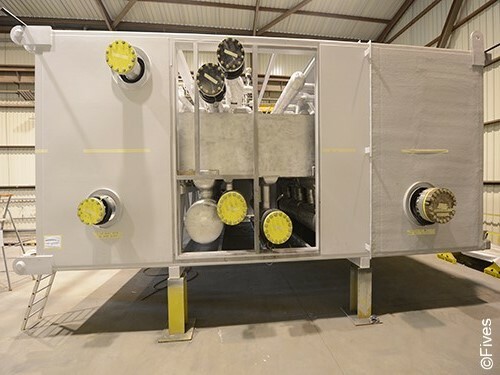 They ensure the best design for Fives' brazed heat exchangers, which can handle up to 20 different fluids, with pressures varying from low to very high pressure.